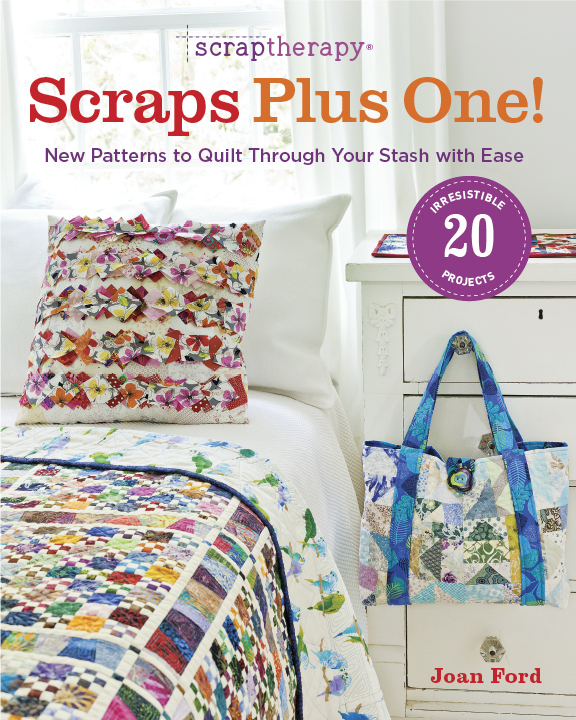 The third book in the ScrapTherapy book series explores using scrap fabrics in a variety of quilts and quilted projects that feature the popular 9-patch block. 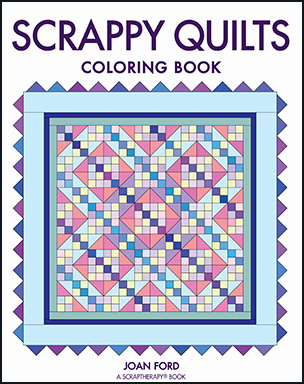 Detailed instructions are included for quilts, bags, and home dec items. 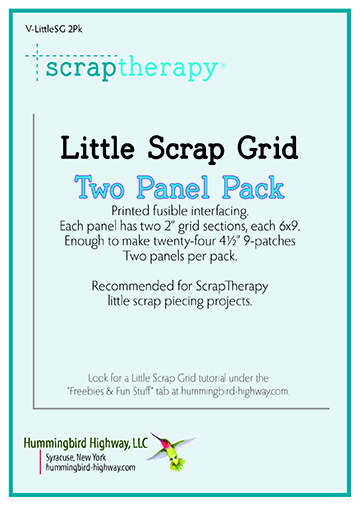 Follow full color diagrams and use innovative techniques to create beautiful scrappy projects from your scrap stash. Limit of 2 books per cart order, please. Other items may be included in your purchase. Excited to see your new book!! Excited to see the new book! 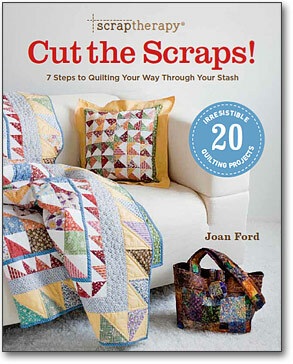 I just love your books, have used them and looking forward to your new book. 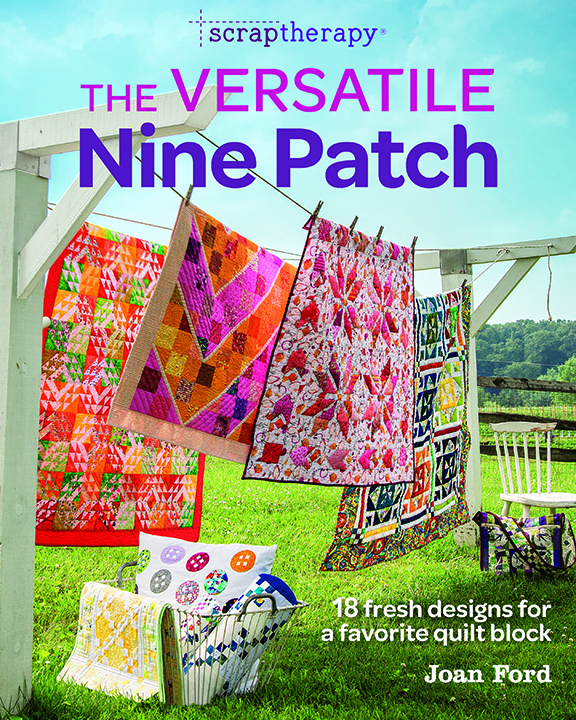 I will like making new quilt patterns using the 9 patch block. 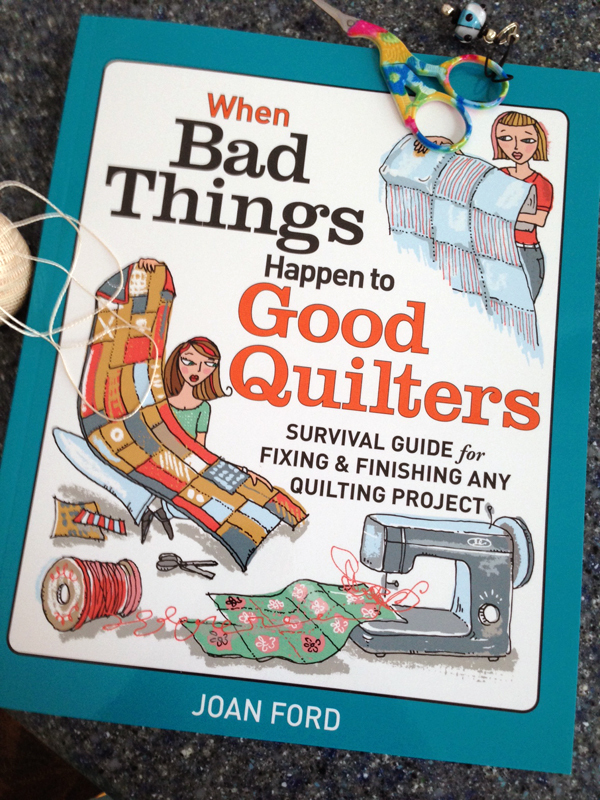 I love your books and totally enjoyed your visit to our quilt guild last year. Can’t wait to see new book. The cover is fabulous!! I had a sneak peek of your book and could not resist being an ‘After Loon’. I have your new book, it is a beautiful book! 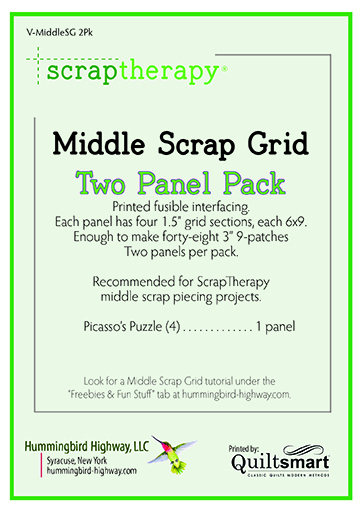 I just joined the Tucson quilt guild yesterday. 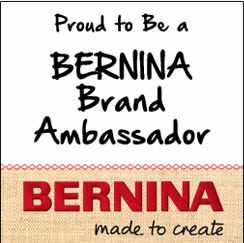 I saw a lady wearing a little bird patch and told her how wonderful your books are! 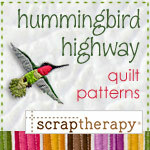 I am restarting the splendid sampler, being pretty new to quilting I didn’t get to far the first time, so trying again. Thank you for sharing your morning, pictures are pretty. 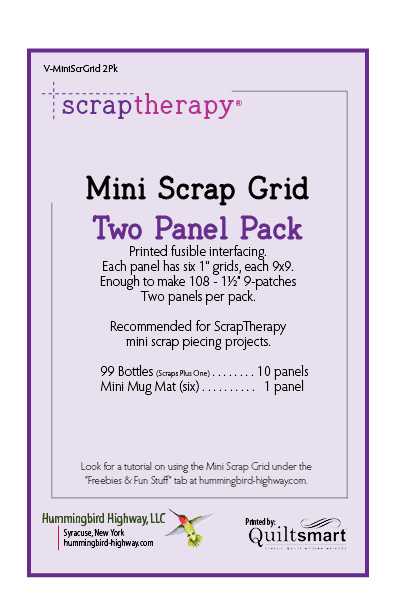 Too late to get the full sized templates! Already have this book ordered from Amazon here in Canada. Can’t wait for it to arrive!